I’ve been jumpier than a drop of water on a hot skillet. Today’s the day that the Supreme Court will hear the Heller (aka Parker) case. This is the one in which the Court could affirm the Second Amendment as an individual right. *They might decide that there is an individual right to own most types of guns subject to reasonable regulation based on strict scrutiny meaning that cities or states must prove that a proposed law is needed, would be effective, and would not be a burden to the people (60%). Let’s see how good a predictor I am in June or whenever the Court announces its decision. There’s a lot on the today’s hearing at Saysuncle, and Countertop was in the audience. Be sure to check with them for updates. So far, from what I've read in my spare time and at lunch, it looks hopeful for our side. Yosemite Sam and I are still apart--as we were in my last post here. The one I made ages ago. There is news though. He is coming to join me at the end of the month and we then plan to meet some of the people who live here in Maryland or Virginia and have told us in comments that they are interested in doing so. I got to a gun store the weekend before last and found out one true thing. Gun people are the friendliest people in the world. I went to Atlantic Guns in Rockville (they have another store in Silver Spring). I roamed around and picked up some cleaning fluid and other stuff. They had a very good selection of guns including rifles with modern styling. You know, black in color with protruding grips. I then asked if I could buy ammo even though I have an out-of-state license. The store employee (owner for all I know) had no problem with this. If you've ever lived in Massachusetts, you'd understand my relief. 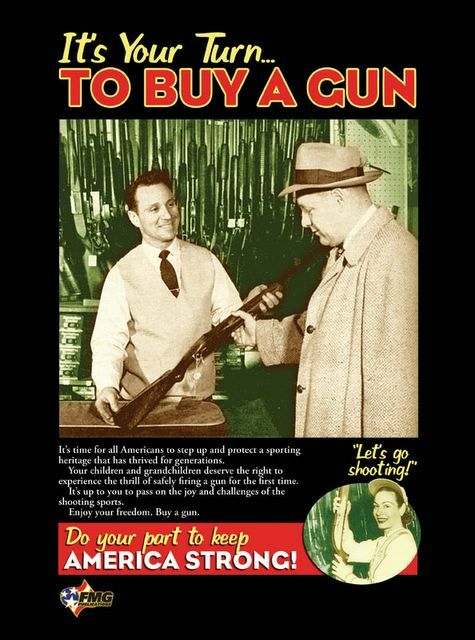 You have to have a license to buy or even possess ammunition, components, etc. We chatted about gun stuff for a while and I got an invite to join a local rod and gun club. Once Yosemite Sam gets here, we'll take them up on the offer. Like I said, friendliest people in the world. Just a quick word about my situation. I'm in a new job here and it has been taking a lot of my time. Plus, I am in a headquarters office and they have more rules than in the field office I was once in. Reading blogs is frowned upon shall we say. I'm getting my feet under me and once Yosemite Sam, Cooper (the basset hound), and our cranky old cat gets here, things will be so much better. Who knows, I may even become a faithful blogger once again.